Dating back to more than 100 years, Samsonite is now the world’s largest travel company. And as the president of Samsonite Asia Pacific, Subrata Dutta is the embodiment of a modern day nomad. 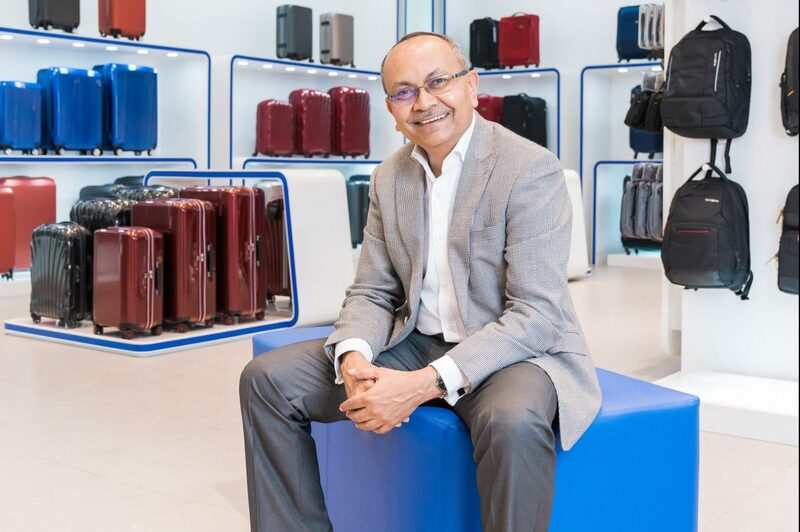 Aside from its primary brand Samsonite, its portfolio also includes American Tourister, which recently held the ‘Bring Back More’ initiative and was the reason for Dutta’s visit to Malaysia. We caught up with Dutta for a quick chat on things travel, and the importance of quality luggage. Does travelling influence your vision for Samsonite? When I travel I like speaking to different kinds of people, especially our customers. I have found that it’s through engaging with them that I find out what they want when it comes to choosing luggage. For instance, I learnt that the wheels are one of the most important factors. Through my own personal experience, I travel with a test bag to identify its wear and tear. I’m very impulsive. I might even buy a ticket somewhere tomorrow if I could. Is there a destination you love most? Dharmashala on the edge of the Himalayas in India. It’s such a peaceful place where indeed, the Dalai Lama spends a lot of time at. I also favour Thimpu, the capital of Bhutan, known for being the happiest country in the world. In your words, what makes the perfect luggage? A luggage that can identify and meet your needs, so to speak. Depending on your travel style, your luggage should cater to that, and that’s what makes a luggage perfect for each person. Why is luggage such an investment piece? You should invest in good luggage so you can trust that it’ll get the job done for as long as possible. What you pack in your luggage is a part you — your clothes, belongings — they are all things that are important to you. Finally, what is your top tip for luggage shopping? Because different travellers have different needs, you should focus on your travel purpose. Some travellers pay more attention to the weight of luggage because they’ll be carrying it themselves, some want something heavy duty. Your mode of travel be it by train or plane should be taken into consideration too. Take your time and test each one out.